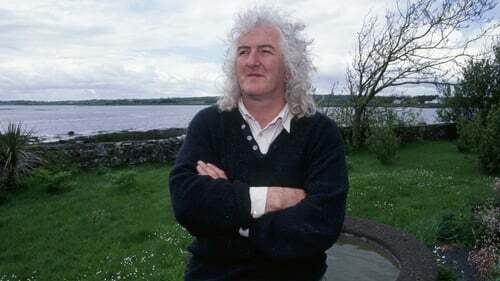 The late Alec Finn, long-time bouzouki player with De Danann recalled the hectic US travel arrangements in an interview with the RTÉ Guide in 1999. Alec Finn's death at 74 was announced on Friday. The band, which Finn co-founded with fiddler Frankie Gavin, first made their mark in the USA in 1976, that country's Bi-Centennial year, which involved numerous high-profile cultural events commemorating the founding of the nation in 1776. Finn and Gavin played in Washington DC that year, along with a number of other Irish musicians, including the legendary Micho Russell from Doolin, Country Clare. They subsequently secured an agent in the US and the early De Danann played Des Moines and Boston and then ventured further afield, playing the East Coast and other parts. It wasn't a particularly ritzy life at first and there was a lot of sleeping on floors, Finn told the RTÉ Guide's Paddy Kehoe in 1999. "It's like what Billy Connolly said about the clubs - you could tell what kind of carpet it was by its taste, whether it was an Axminster or some other kind," recalled the musician, who was raised in Yorkshire. The air fare to America, Finn noted, was about £500 in the mid-seventies. That was expensive in anybody's pocket and there were additional expenses. "You made very little money, but you got a chance to see America which was great." Logistics in the early days involved the hire of a tour bus but that plan confined the band to a relatively small area of operations in America. Later, the lads got wind of a discount package for European air passengers which offered 30 flights for 36 days.The band would take a look at the cities the airline flew to and book gigs in universities, concert halls or clubs accordingly. De Danann at this point were beginning to move up in the world, staying in motels, no less. However, with such restrictive travel arrangements there were very few days off for the outfit. "It started getting a little bit dangerous. You'd have two flights a day, for instance, if you were flying from Chicago to Texas. Taking all these flights, it was very risky, the odds were that something would happen." On one occasion the plane the band were traveling in was hit by lightning near Los Angeles. "That was very unpleasant, a great big sort of bang," recalled the bouzouki player and guitarist. "Once we flew to New York and discovered when we got there that the engines had failed, half-way across. When we landed, all these fire engines came following the plane along the runway." President Michael D Higgins, who was a friend, along with his wife Sabina, has led tributes to the musician. "All those who love Irish music will have heard with great sadness the news of the passing of Alec Finn. From their early beginnings in An Spidéal and Galway city, De Danann grew to become one of the most significant and best loved representatives of Irish music at its best," said President Higgins. De Danann featured a number of Irish singers in their line-up when they were relative unknowns, from Dolores Keane to Mary Black, Tommy Fleming and Eleanor Shanley. By the time of the release of the glorious record, The Mist-Covered Mountain in 1980, they had perfected a speedy, almost sparky sound in their interpretation of Irish traditional music which mixed a highly invigorating potion. The sound was influenced in some measure by an Irish-American brand of Vaudeville, as purveyed by the original of the species, the energetic-sounding Flanagan Brothers of the 1920s. Their singers, however brought tender, wistful ballads to proceedings, notably Dolores Keane and songs like Teddy O'Neill. Alec once released a solo guitar album of Irish tunes called The Blue Shamrock. He played his version of Down By the Salley Gardens, which features on that record, at the funeral of his friend, the Scottish musician John Martyn, which took place at the Church of Ireland in Kells, County Kilkenny in 2009.